Our strength as a company is in understanding our customers’ expectations and building trusting relationships. Payroll Service Program. Our payroll service program allows you to select a worker of your choice and refer them to us for employment at your company. We handle all the administrative, employment and payroll matters as well as providing general liability, and workers compensation. Testing and Evaluation. OnCall Staffing helps you contain hiring costs by evaluating, training, supporting, and matching skilled personnel to your exact qualifications. The work environment survey. 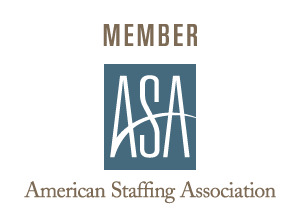 A OnCall Staffing representative will visit your business to analyze and assess your specific personnel needs. OnCall Staffing Quality Assurance. OnCall Staffing utilizes quality assurance techniques to evaluate the success of our employee/client match, including confirmation calls, check-in calls, and work evaluation reports. OnCall Staffing value added service. Our staff can design individualized services that address your unique business environment including management reports, customized recruiting, retention, and billing and payment programs. Diversified Service. People with disabilities make up a pool of talented and skilled workers that can be an effective resource for any business. We have partnered with Quality Connections, a company whose staff has over ten years experience placing individuals with disabilities and disadvantages into appropriate employment situations. OnCall Staffing service guarantees your complete satisfaction with every employee you receive. Call us at 602-258-3344 or contact us and let’s get started!